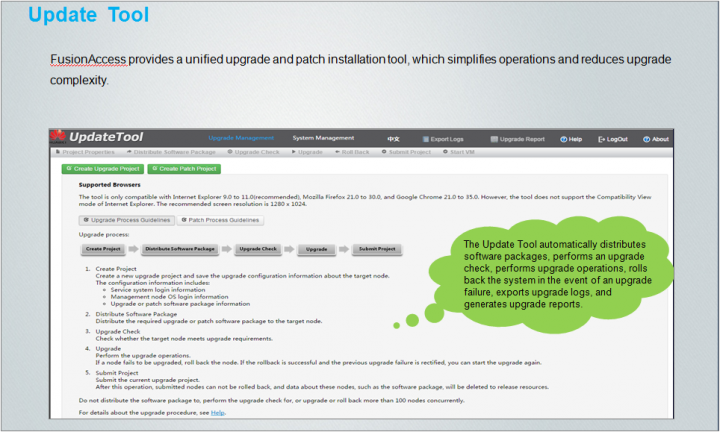 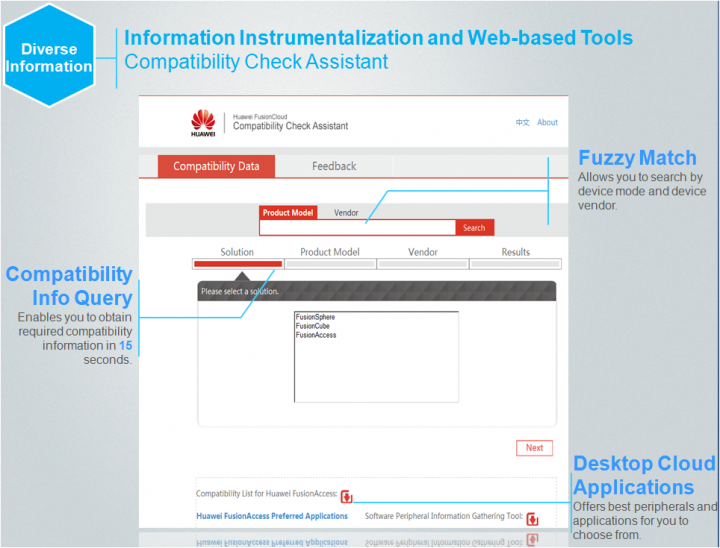 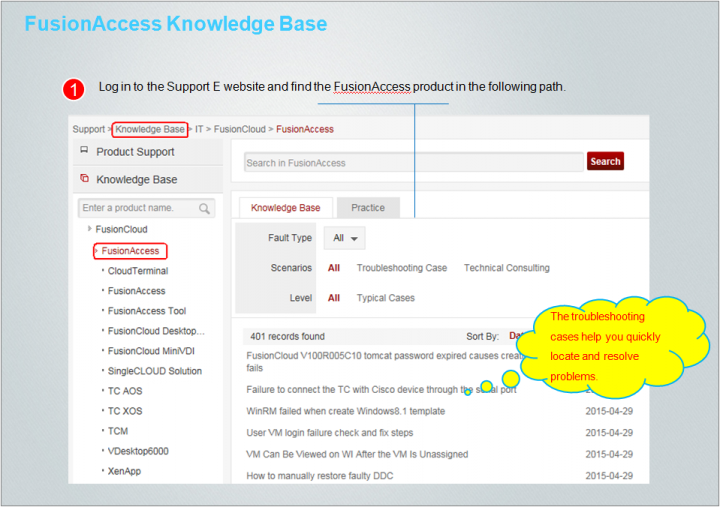 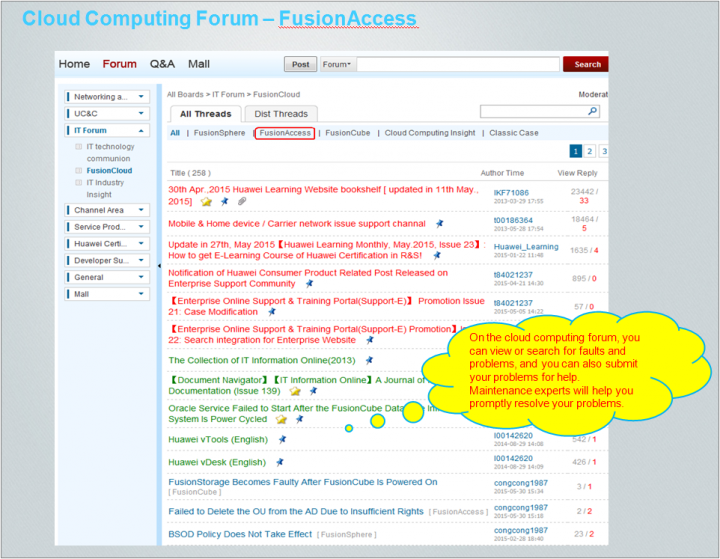 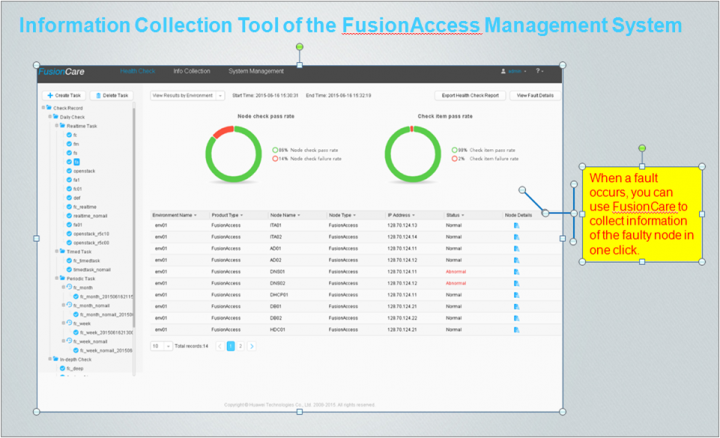 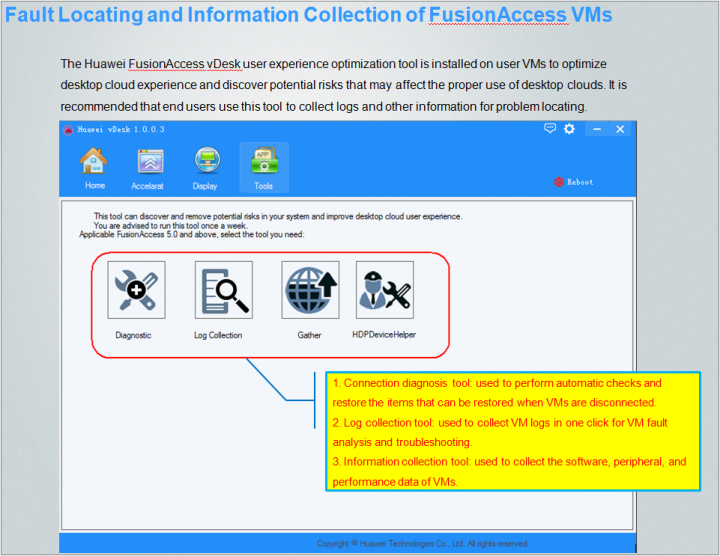 This phase describes sets of FusionAccess tools and platforms, including the networking tool, integration design suit, compatibility query tool, cloud computing forum, information self-help platform, troubleshooting case library, Update Tool, Huawei vDesk, and FusionCare. 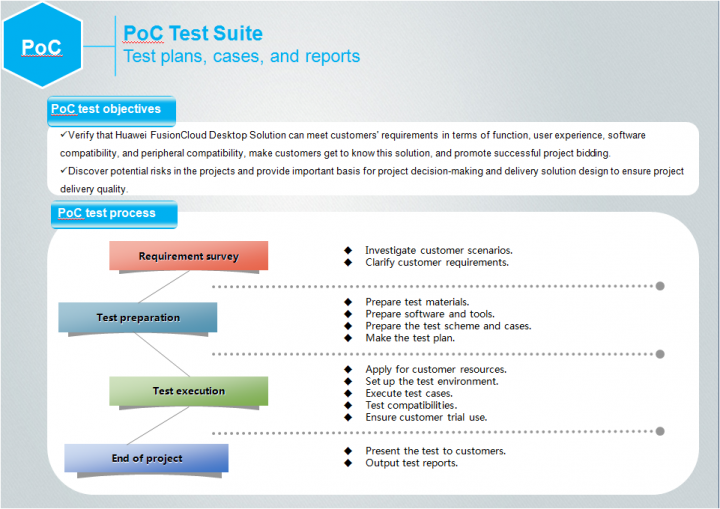 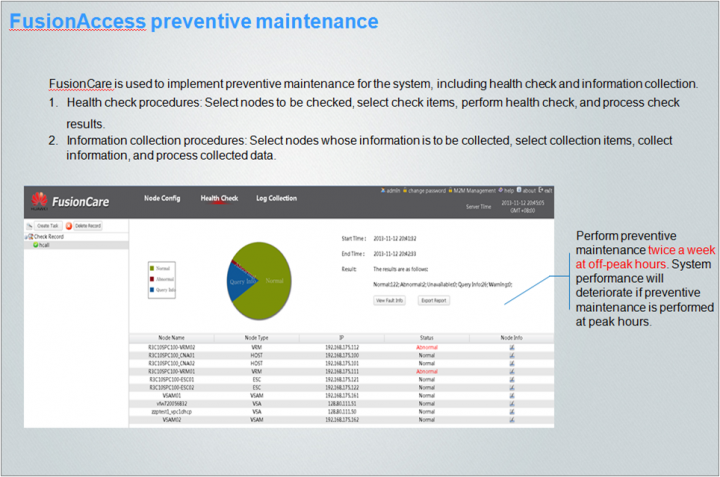 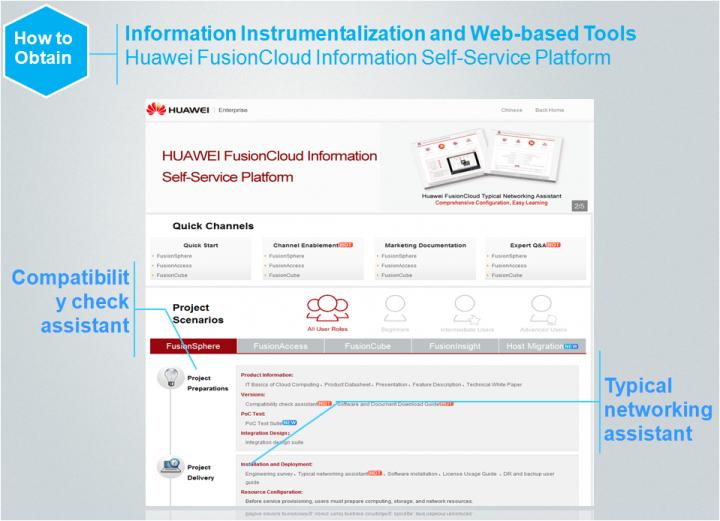 IT Cloud Computing Serviceability Achievements is intended for frontline engineers. 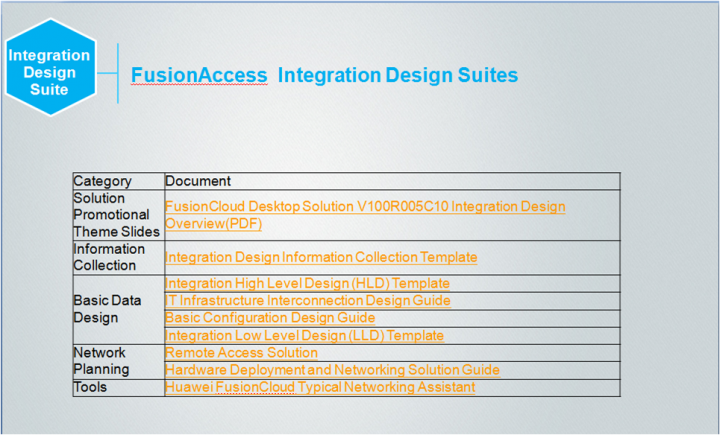 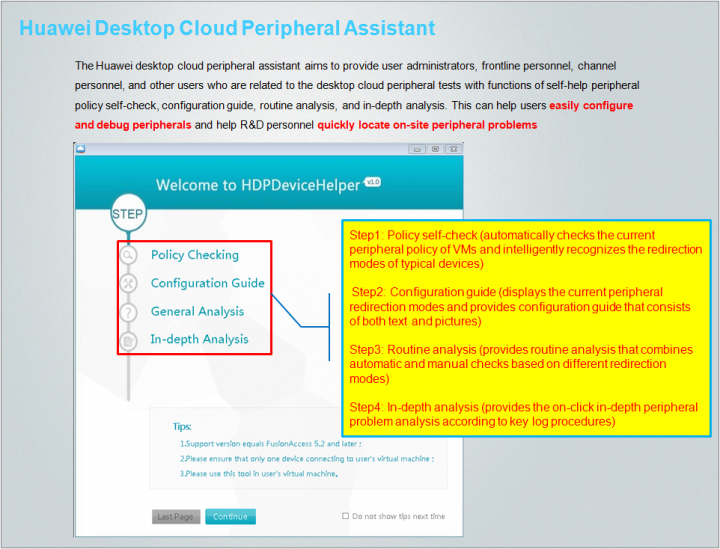 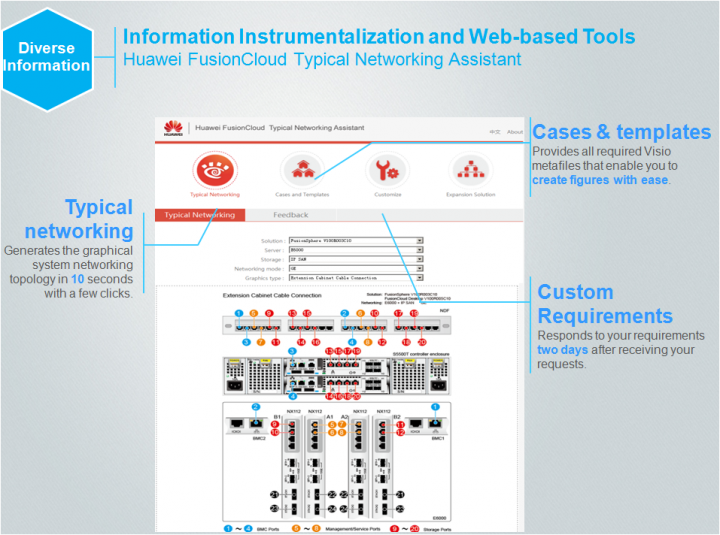 This publication is prepared by Huawei headquarters service engineers in cooperation with R&D engineers and delivers after-sales materials about Huawei cloud computing products, including FusionSphere, FusionCube, and FusionAccess.